AS CAMBODIA mobilizes to track down and deport a dozen or so Christian minorities in hiding from Vietnam in its jungles, questions are again surfacing in Australia about a deal struck with the Cambodian government to take the Lucky Country’s unwanted asylum seekers for cash. If you doubt that, and hold out any hope for fair treatment of Australia’s refugees, Hun Sen’s Cambodia by Sebastian Strangio is essential reading. Strangio’s compelling, often disturbing, book chronicles the long ascent of the title’s eponymous strongman to the apex of power in a country that has leveraged international guilt and horror over the genocide that took place there in the 1970s, receiving billions of dollars in aid as a result. For two decades, Australia was the world’s No 3 donor nation to Cambodia. Not all that money has gone where it was intended; very little has trickled down to where it is needed. Speaking to Radio Australia in June this year in June, Maree Nutt, chief executive of Results International Australia, admitted that despite 20 years of solid growth economic growth—“around 7 per cent for the last 10 years”—the people of Cambodia are as under-nourished as ever. In other words, Hun Sen’s achievement—if it can be described as such—has been to maintain the faucets of foreign aid at gush capacity while offering back little more than the illusion of carrying out the change that was a condition of the handouts. The results can be clearly seen on the streets of Phnom Penh today. This is a city where Lexus, Mercedes and BMWs jostle with tuk-tuks and second-hand Honda Dreams jostle for potholed road space. Newly constructed office blocks and malls cast their shadows over petitioning evictees and garment workers striking for a living wage. It is, in short, simultaneously a staggering success—and an aid-mission failure. It could be argued that the reality of contemporary Phnom Penh cuts to the quick of Strangio’s thesis. Hun Sen may have played along with the West’s dream of reconstructing Cambodia in its own image, but the truth is his government has always chosen “hard” infrastructure development over the “soft” development—human rights, democratic reform and transparent governance—demanded by aid donors. This has been achieved through a combination of ruthless suppression of internal opposition and a learned mastery of the bromides of international-donor Newspeak. Strangio’s Hun Sen’s Cambodia is an eloquent account of a chapter in Cambodia’s history that has for too long been neglected: what happened after Pol Pot and the Khmer Rouge took the country back to Year Zero. If it has an academic axe to grind—aid agencies have created the very opposite of what they set out to—it is, nevertheless, written with a light touch, peppered with tragic human interest stories and solid journalism based on two years of research and many years in the country. 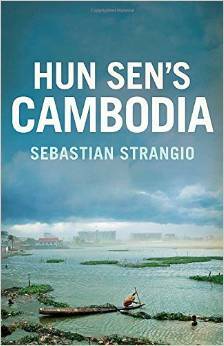 Meanwhile, although Strangio appears determined to wake the world to the fact that change in Cambodia has largely been a “mirage”—he uses the word 67 times—much of his narrative also touches on brave, diehard, grassroots struggle, even though the outcome is almost always murder, serious injury or imprisonment. That fight is continuing. It is the struggle of the disenfranchised Cambodian people to reclaim their dignity and often quite literally their land. Nobody in Cambodia thinks the Australian-Cambodian refugee deal has been made based on the old misconceptions about Hun Sen and his patronage agenda. Quite the contrary: most Cambodians see the deal as cynical. It is. And until Cambodians have made more progress on basic inclusive reforms and have a place in their own country, it is difficult not to conclude, after reading Strangio’s modern history of an unnecessarily failed state, that Cambodia is no place for refugees.